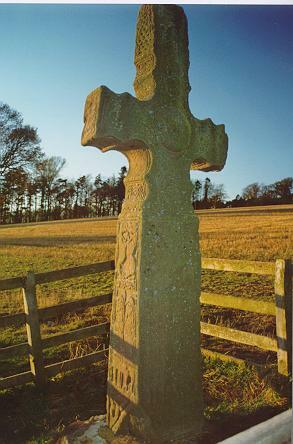 The Dupplin Cross, Perth. 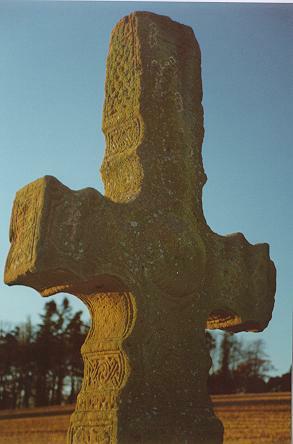 It is said to date from the ninth century. 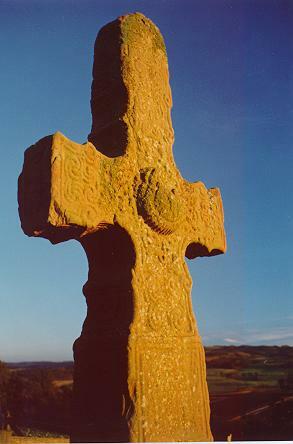 On one panel is a Latin inscription: CUSTANTIN SON OF WUIRGUST (Constantine son of Fergus). Many of the panels contain interlacing, one has a seated man with a harp (perhaps David), there is also a horseman with a spear, several footsoldiers, and a hunting dog leaping on its prey. 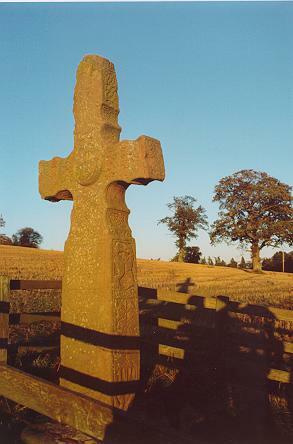 This stone has now been removed to St Serf's church in Dunning.